Looking to use an Arduino in your next wearable, communication, or sensor-driven project? Here's a brief rundown of six Adafruit Arduino-compatible boards that might catch your eye. 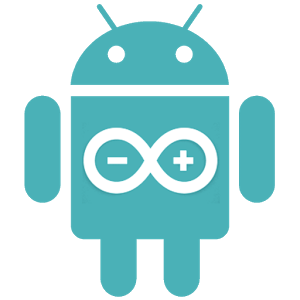 Arduinos are powerful processors that can be the central component of any project. But to take a project to the next level or extend its functionality, different development boards can be used. There is a large variety of development boards that range in functionality from wireless communication to sensors. This list includes Arduino-compatible boards sorted by functionality. The FLORA is a small, round, and wearable-ready board with a micro USB port. The FLORA is perfect for beginners and can be used with the Arduino IDE. The battery ports have polarized connector and protector diodes in case the battery is connected backwards. The pads are alligator clip friendly for quick prototyping and connections with other boards. The FLORA was designed for easy control of 50 different NeoPixels with the onboard power supply. The power supply can also be extended to 500 with a 5V source. The GEMMA is even smaller than the FLORA. This small, low-cost controller is not completely Arduino Uno-compatible but can be programmed with the Arduino IDE. The GEMMA is extremely low power, only using 9 mA when running. There are three IO pins (1 analog and 2 PWM), and a red and green LED on the board for visual feedback. This transceiver board can be used with two different radio frequencies: 868 or 915 transmitting/receiving. The transceiver comes with ready-to-use Arduino libraries and a wire antenna. Its range is around 2 Km or about 1.2 miles depending on obstacles, frequency, and other factors. The Bluefruit EZ-Link can pair with any computer or tablet and appears as a COM port except on iOS (because the Bluefruit EZ-Link uses an SPP serial link client device which iOS does not allow). The baud rate is automatically adjusted based on the application of the Bluefruit and most common baud rates—such as 2400, 4800, 9600, 19200, 115200 and 230400—are supported. The RTS/DTR flow control pins automatically sync to the computer and can be changed using the computer. If it is changed manually, the computer recognizes this and changes accordingly. This temperature sensor is both accurate and precise over a pretty decent range. Its accuracy is +- .25 C with precision of + .0625 C over a range of -40 C to 125 C. Its voltage range is 2.7V to 5.5V so it can be used with different voltage logic. It also has three IO pins which allows for up to 8 different addresses. This gyroscope can sense motion in three different directions and has options for ±250, ±500, or ±2000 degree-per-second scale for increased sensitivity. Data processing is also made simpler with a built-in lowpass and high pass filtering system. The gyroscope is a 3.3V max device so a regulator is installed and it can be powered using a 5V source. This list is definitely not all-inclusive, but it does give you an idea of some boards that could be incorporated into a future project. Most of these can be found on the Adafruit website with tutorials and more in-depth technical specifications. The Arduino is a user-friendly way to jump into the world of microcontrollers and electronic systems—and it keeps expanding its capabilities every day.